Nickel (Ni), a corrosion resistant metal is primarily used for common consumer products such as Stainless steel, alloys, vehicle manufacturing, batteries, and a host of industrial products. Major production sites of Nickel include the Sudbury Region in Canada, New Caledonia in the Pacific, and Norilsk in Russia. 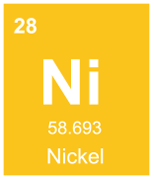 Nickel occurs most often in combination with sulfer and iron pendlandite, with sulfur in millerite, with arsenic in mineral nickeline, and with arsenic and sulfur in nickel galena. Most mined nickel is hosted in two main types of deposits, Laterites and magmatic sulfide deposits. Crone Pulse-EM is a tool used by many major mining companies, and Jr Mining Companies, for exploration of Nickel hosted in most magmatic sulfide deposits. Due to the highly conductive nature of Nickel Sulfides, the system can detect, locate, orientate, and provide dimensionality to the deposit. The Crone Step response can play a very important role in determining directionality to higher conductance sources which may indicate larger resources, a very important feature as in some cases the conductance of the deposit may lay outside the time window of other EM systems, and go undetected. The Crone Pulse-EM System has been instrumental in the discovery of many world class Magmatic Nickel Sulphide Deposits such as Voiseys Bay Mine, Raglan Nickel Mine and Sudburys Nickel Rim. Contact us today to find out how Crone Pulse-EM can contribute to your Nickel exploration project.